Some of the mesh devices made by C.R. Bard commonly used for hernia repair are being blamed for a host of issues, including debilitating pain, adhesions, failures, and revision surgeries. If you or a member of your family received a hernia mesh bade by Bard or its subsidiary of Davol and suffered serious complications, speak to a hernia surgical mesh lawyer at our office now to learn if you are entitled to compensation. Patients who received these polypropylene mesh devices say they suffered serious injury including premature failure of the devices forcing them to undergo risky revision surgery to have the mesh removed and internal damage repaired. 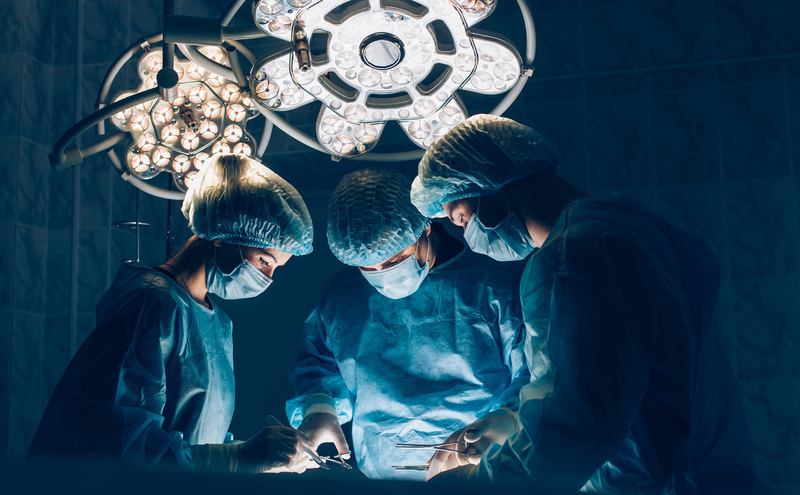 Other complications and injuries sustained by some patients include chronic and debilitating pain, allergic reactions, inflammation, mesh adhesions to the spermatic cord, and the unweaving of implanted mesh causing severe pain. Dozens of lawsuits have been filed against Bard and Davol in courts across the country. Recently, the Judicial Panel of Multidistrict Litigation weighed the decision to centralize all similar cases in multidistrict litigation. In an order dated August 2, 2018, the JPMDL issued the transfer order moving all federally-filed lawsuits to consolidation in U.S. District Court of Ohio to be heard by District Judge Edmund A. Sargus. Under the order, 53 lawsuits filed against Bard in 21 different federal courts were transferred to Ohio, and nearly 70 more lawsuits pending in 27 districts may be transferred as well. In each of these cases, the plaintiffs raise similar questions of fact and allege that Bard designed and manufactured defective mesh that unwinds, erodes, or otherwise fails forcing patients to have to undergo additional unplanned surgeries to have the mesh removed and injuries repaired. Experts believe that more cases will be transferred to the MDL as lawsuits against Bard continue to mount. In June of 2018, Bard and Davol supported centralization of lawsuits as long as lawsuits filed over the Kugel Patch were included. The Panel wrote that Composix Kugel mesh cases would be addressed through the transfer process. Recent lawsuits filed against Bard detail various severe injuries including allergic and inflammatory reactions, erosion of the mesh leading to internal injuries, and severe adhesions. In one such case, a patient from Ohio was implanted with the Ventrlight ST mesh for hernia repair. Three years later, the man underwent surgery to have the mesh removed after it was found to be poking through the abdominal wall and leaking a buildup of abdominal fluid. The lawsuit contends that the hernia mesh was defectively manufactured using substandard and adulterated materials, has a coating that creates a breeding ground for bacteria to proliferate, and had inadequate and defective warnings and instructions. The lawsuit alleges that Bayer knew or should have known of the defects and problems but failed to warn the medical community and patients about the increased risks of infection, fluid buildup, inflammatory reactions, and foreign body responses. Bayer did not warn of risks that have been associated with the device including pain, rejection, migration of the mesh, adhesions to organs, encapsulation, erosion of the mesh, bowel obstructions, or strangulation or incarceration of the hernia. Any patient who suffered a serious side effect or adverse event such as the ones listed on this page may be eligible for significant financial compensation. Contact an attorney at our office now to learn more.